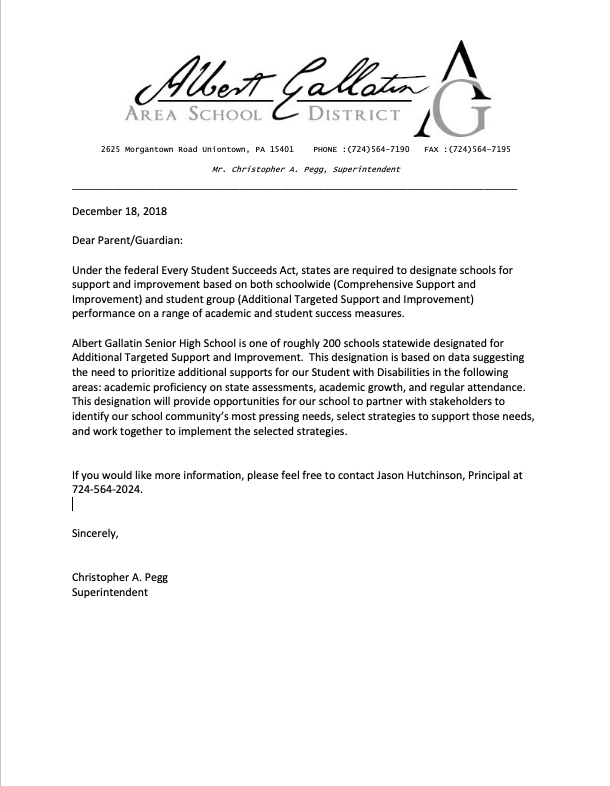 Albert Gallatin Area High School is part of the Albert Gallatin Area School District in southwestern Pennsylvania in Fayette County. We are located 7 miles south of Uniontown, PA in the village of York Run, Georges Township. The southern end of the Albert Gallatin School District borders West Virginia. Pittsburgh is approximately 50 miles north of AG High School and Morgantown, West Virginia is 20 miles to the south. Our district is a large, rural area consisting of 144 square miles. 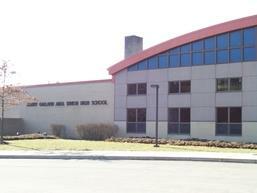 The student population at Albert Gallatin School District is 4,000 with 1,150 students attending AG High School. Our high school houses ninth through twelfth grade students in modern, safe facilities. Welcome to the Albert Gallatin Area High School webpage - where you can find resources regarding academic programs, school procedures, events, and student achievement. We hope the information assists you in locating answers about the many programs and services offered. We take pride in offering programs that guide students to success in our ever-changing global society. If you need additional information, please feel free to contact the administration or counselors at AGHS. We will be happy to assist you in any way possible. Parents: You are NOT to drop off your child at the STOP sign in front of the HS. PLEASE use the designated drop-off location. This is a HUGE safety concern.